Garrett Klein has performed across the United States and Asia as a soloist, chamber player, and orchestral musician. 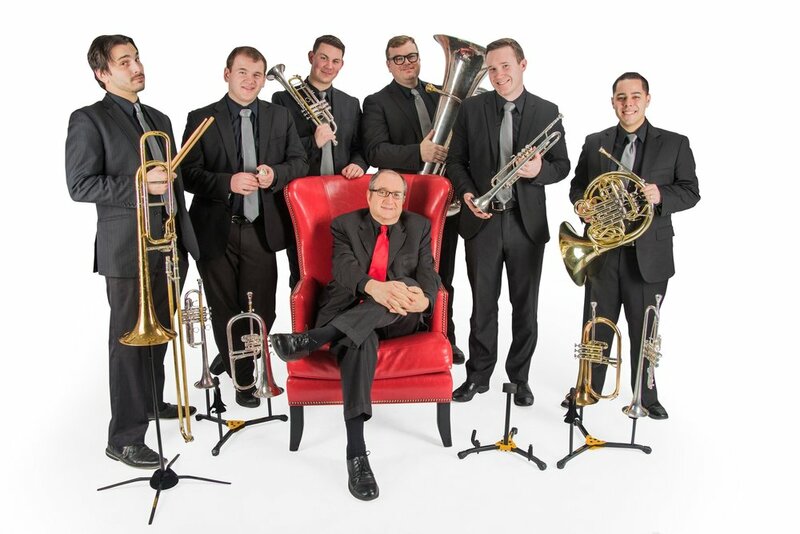 Garrett is currently a member of the Dallas Brass, an internationally recognized touring brass ensemble that has mastered a wide range of musical styles. In addition to offering breathtaking performances across the US, the Dallas Brass shows a unique commitment to music education by working with students of all ages while on tour. Playing in the Dallas Brass allows Garrett to combine his love of performing with a passion for encouraging the next generation of musicians. Outside of touring with Dallas Brass, Garrett is on faculty at St. Olaf College for the 2018-2019 academic year. As Visiting Instructor of Music, he coaches the talented trumpet students and brass quintets at St. Olaf. Garrett is also on faculty at Gustavus Adolphus College, where he teaches brass chamber music. Garrett appears regularly as a soloist, guest orchestral musician, and clinician. Recent performances have been with the Rodney Marsalis Philadelphia Big Brass, The Phoenix Symphony, the Tucson Symphony Orchestra, the New World Symphony, the Singapore Symphony Orchestra, the Malaysian Philharmonic Orchestra, and the Musicians of the Minnesota Orchestra. Garrett has spent summers at the Aspen Music Festival and the National Repertory Orchestra in Breckenridge, CO. As an advocate of new music, Garrett has been invited to present fresh compositions at International Trumpet Guild Conferences in Columbus, OH and San Antonio, TX. Coming from a family of educators, Garrett has an instinct for coaching young musicians. With Dallas Brass and as a solo presenter, Garrett has given clinics at high schools and colleges across the United States. His private students have been admitted to several of the finest music programs in the country, won awards, received substantial scholarships, and have been featured as soloists. Additionally, many students have participated in award-winning drum and bugle corps, All-State festivals, and prestigious youth symphony programs. Garrett also is a trained music theory teacher, and has served as Visiting Instructor of Music Theory at Gustavus Adolphus College. Garrett is in the final stages of completing a Doctorate of Musical Arts degree at Arizona State University, with a concentration in Music Theory Pedagogy. While at ASU, he served as the Graduate Teaching Assistant to the internationally recognized soloist and pedagogue David Hickman. His dissertation project centers around the recordings of sonatas by Brendan Collins, William Rowson,* Christoph Nils Thompson,* and Luis Engelke* (*premiere recording). Prior to living in Arizona, Garrett spent a year in Singapore. As a student at the prestigious Yong Siew Toh Conservatory of Music, he studied trumpet with William Theis and conducting with Singapore Symphony associate conductor, Jason Lai. Garrett also taught privately through Partners in Brass, the country's leading music education resource for brass students. As a freelance musician in Singapore, he was a featured soloist on the 2012 Singapore National Day Parade soundtrack, performed with Australian jazz legend James Morrison, along with many local orchestras. Garrett has been fortunate to take part in educational outreach trips in Singapore, as well as to Malaysia and Burma. While in Burma, he had the distinct honor of performing for the Burmese democracy leader, Aung San Suu Kyi, at her famous estate. Garrett received his Bachelor's of Music degree from St. Olaf College in Minnesota, where he studied with Dr. Martin Hodel. It was at St. Olaf where Garrett met his wife, Mara, and together they discovered their passion for travel and the great outdoors. They currently reside in Saint Peter, MN with their dog, Scout. Garrett Klein is an endorsing artist for Conn-Selmer and proudly performs on Vincent Bach trumpets. Daniel Kallman’s Sonata...highlighted Garrett Klein’s facility on the trumpet. Klein maneuvered through each movement with great grace and interpretive expression on this modern piece. Please enjoy samples of solo, orchestral, and chamber performances. I offer private lessons to highly-motivated young trumpet players looking to take their craft to the next level. My teaching goes beyond making weekly assignments and providing feedback. I view my role as more of a coach. I work with my students to set goals, face difficulties head-on, and help make tough decisions, all while providing a positive and fun atmosphere. Please use the contact section to inquire about setting up your lessons! Garrett is an exceptional musician and teacher. He provides loads of useful information during lessons and knows the ins-and-outs of playing the trumpet. Garrett’s attention to detail refined my playing and changed how I approach technical and musical sections. His advice helped me improve significantly within a short amount of time. Without his mentorship, my trumpet playing would not be where it is today. Please use this form to contact me directly. I will get back to you promptly!